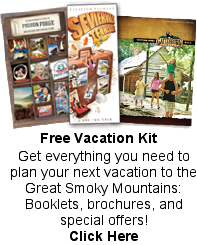 Smoky Mountain Fun is at every turn. Whether you are in one of the towns surrounding Great Smoky Mountains National Park or inside the park itself, you will never run out of fun things to do on your Smoky Mountain Getaway. Iinside the park, hiking trails offer breathtaking scenery and an opportunity to refresh your mind as you climb mountain vistas and stop along a mountain river to rest and reflect. Fly fishing is a popular sport, and you can even catch mountain trout for your dinner. White water rafting through the forest and along mountain rivers is envigorating for all ages. A photographer will always find something to capture in the Smoky Mountains; wildlife, spring flora, fall foliage, mountain rivers, vistas, sunrises and sunsets, winter snow scenes, historic structures, and waterfalls provide days of photography opportunities. Other activities in the park include hay rides in Cades Cove, horseback riding at various stables throughout the park, mountain festivals, wildlife viewing, bicycling, picnicking, train rides, historic sites, and walks along a mountain river. Fall festivals in nearby towns include the Gatlinburg Craftsmen's Fair in October, OctoberFest at Ober, Taste of Autumn in downtown Gatlinburg, the Rotary Club Crafts Festival, Dollywood's National Music & Harvest Festival, and special festivals by local artists and crafts communities. @ 2013-2019 by Image Builders. All rights reserved.